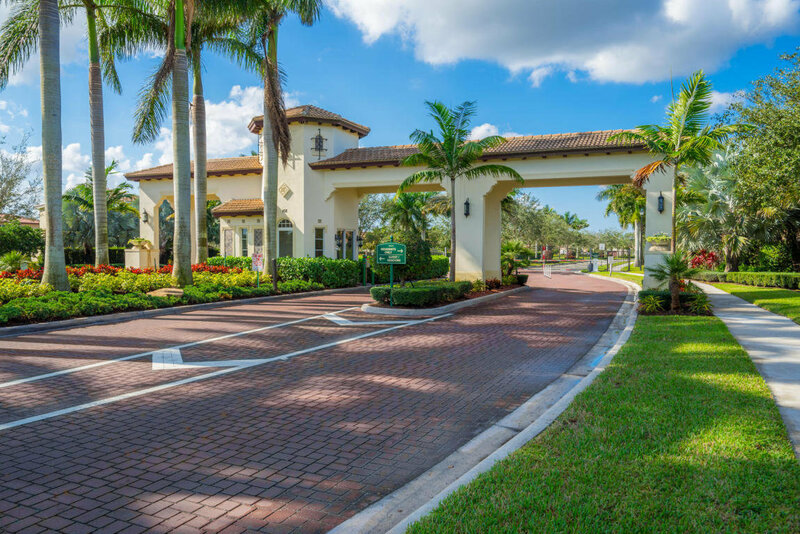 Rialto is a gated community in Jupiter FL that offers 312 single family homes, a clubhouse complete with a fitness center, walking paths, lakes, tennis and basketball courts, playgrounds and a cutting-edge swimming pool and splash pad. Beautiful in and out, homes in Rialto are far from conventional. They were built by Lenmar Homes with Mediterranean-style architecture and California Mission designed exteriors. These homes were crafted to guarantee their residents comfortable and quality living. Each home sits on a generous lot with plenty of room for family activities and outdoors enjoyment. Offering 1,800 to over 4,100 square feet of living space, Rialto dwellings offer 3 to 5 bedrooms and a 2 to 3 car garage. Residents in Rialto are never too far from Jupiter’s sandy beaches, restaurants, shopping malls, theaters and spots for a night out with friends. The School District of Palm Beach County includes Rialto so you can rest assured that nearby schools are top rated.